This is the interior view of our hall. 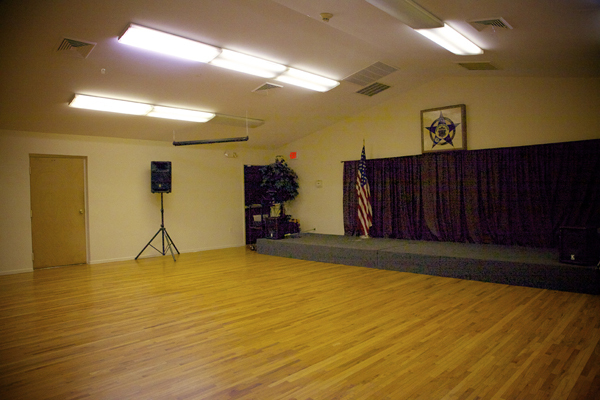 We rent the hall out to members and non-members. If you are looking for a very nice location for any gathering of up to 90 people, then we are the place for you. 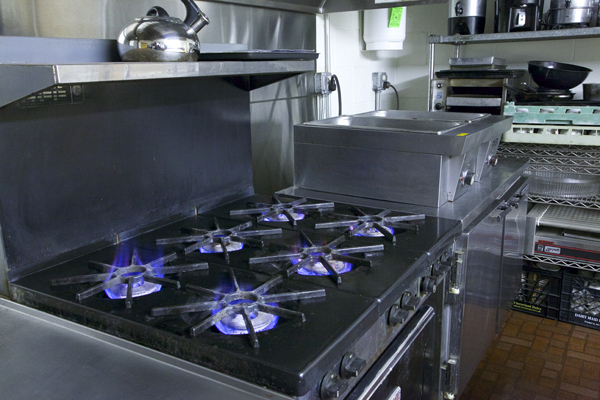 Our lodge has kitchen facilities as well as a separate buffet room available for your group. 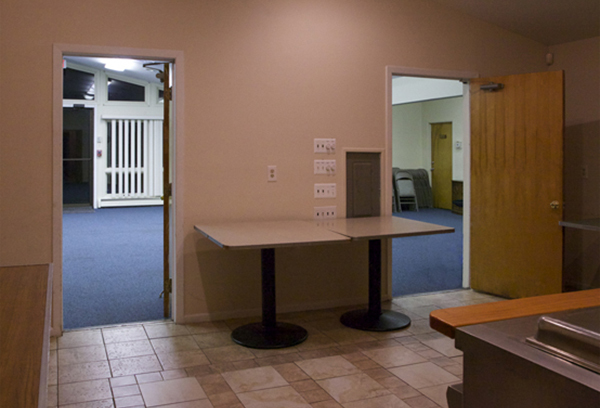 We are handicapped accessible and offer a non-smoking room. The refinished dance floor and raised band platform offer a large area for your guests and entertainment. 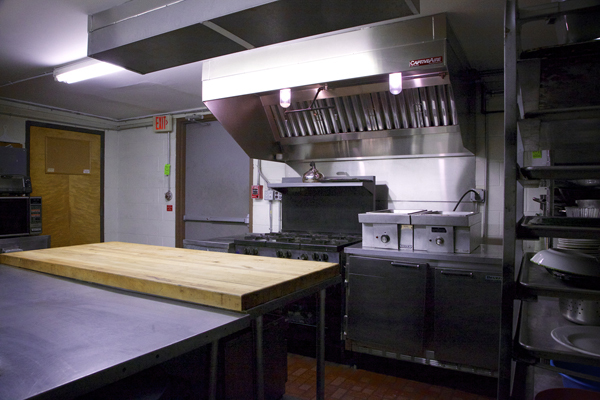 Our kitchen has up to code cooking and heating facilities, with a large prep area and refrigeration available. The use of the kitchen is included in your rental of the hall at no extra charge, so that hosting your event will be even more enjoyable. We have worked with several local caterers who are familiar with our location and setup. 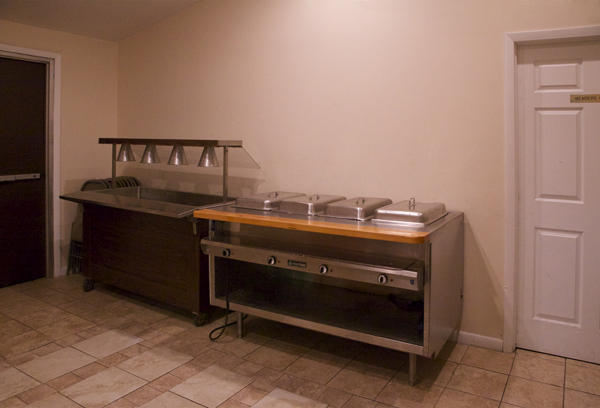 Additionally, kitchen access is convenient to the buffet room, without walking through your party, to ensure your guests safety. The Buffet Room is a popular feature of our hall, allowing the guests to have an area separate for the food, thereby sharing your event with more family and friends. 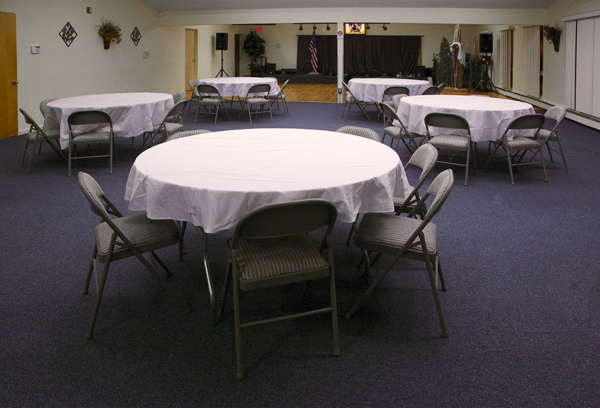 The set-ups, hot and cold tables, etc., are included in your rental at no additional charge. We are pleased also to note there is access directly from the Buffet room to the parking area and to the kitchen for both your caterer's and your convenience. Please keep us in mind when when you are looking for a location for your next special event. Our members and staff are willing and able to help accommodate your group, whether it is a small party of thirty, to a family reunion of ninety people. 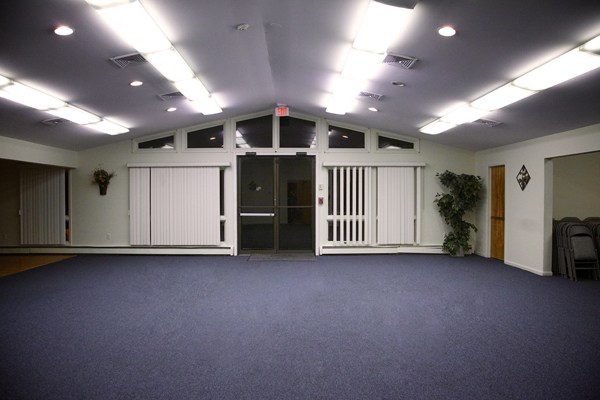 Our facilities are available for rental Monday through Saturday. 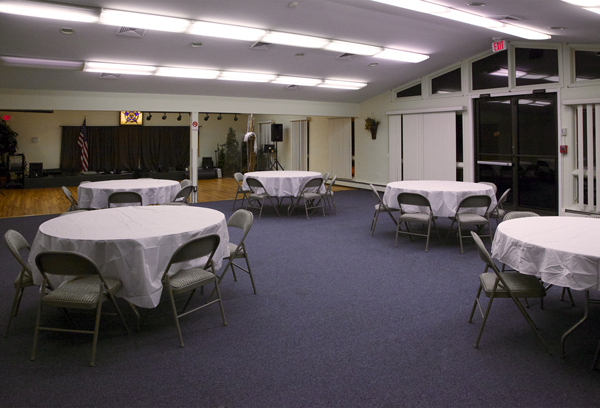 Please feel free to contact us with any questions you may have regarding a hall rental by telephoning us at (732) 255-7300. We appreciate your interest and look forward to being of service.